We are very fortunate to have a wonderful gift from my in-laws each year - membership of our local zoo. Drusillas would be hideously expensive if we weren't members, but with that precious plastic membership card we can go several times a year, usually at least once a month. The learning opportunities this presents changes as the boys grow. 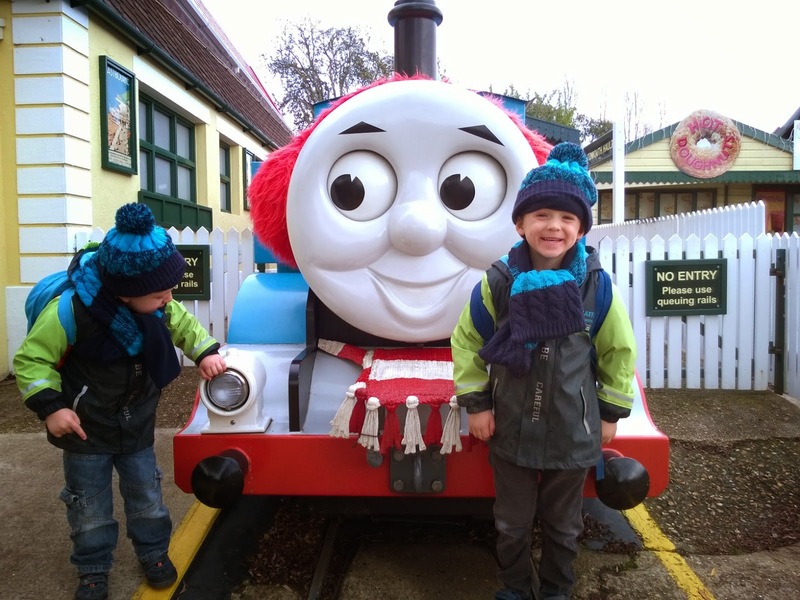 What started out as a lovely place to see small zoo animals and pets, with a Thomas ride and a great adventure play park, has grown into a place to explore geography, habitats and adaptations. Adaptations of tails for balance and climbing as in the monkeys, and for communication in the ring tailed lemurs who use a combination of boldly contrasting banding on the tail and scents applied to it to communicate as they hold their tails up vertically as they walk along. Animal's diet - exploring what each animal ate, how it was similar or different to us and any adaptations to that diet, for example there is a nice model of a cow's teeth and digestive system at the zoo. We also talked about how the flamingo's diet of shrimps contains carotenoid pigments, similar to those that give carrots their orange colour, and that the flamingo stores these in it's feathers, turning them pink. Animal sizes, Toby liked shouting biggest and smallest answering questions about the cut out models of the world's biggest and smallest pig species for example. Camouflage and warning - we looked at different examples of animal colouring including the well camouflaged stick insects versus the warning colours of the corn snake (mimicking a venomous species). Some of these topics I am familiar with because I am by original training an environmental biologist, and by inclination a naturalist, but even if I had walked in off the street with no pre-existing knowledge the interpretation boards for each animal give a huge amount of information which can be shared with children, in addition to the important skill of just carefully watching and listening to the animal (and in a few cases even touching them). We didn't walk around with a clipboard of questions to answer, but this was as sure an educational trip as any you might go on with school, where kids rush to fill in their booklet so they can dive into the gift shop. The principles of stop, look, think, question, discuss, read, listen, explore are important ones to gently guide children into, with which every trip becomes a more interesting one, stimulating ideas and knowledge. Plus at the end we spent the afternoon in the play park climbing and sliding and jumping, so that's got to tick the 'physical activity in an outside space' box that kids of the age mine are probably need more than all the rest of it. So well done Toby, for insisting yesterday morning 'we go zoo today, we see mammals and ride on Thomas' ('mammals' is how he says 'animals' - it made me chuckle that he was being apparently anti-bird when we were watching the penguins and he dragged us away saying 'no more penguin, we see more mammals now'). Especially since now I'm stuck home today with a stinking cold and a deadline looming for an assignment on seawater.